Following the plans of the European Commission to implement new measures to prevent modifications of the powertrain of motorcycles a so called anti-tampering study has already been initiated. At the same time European Parliament has not decided yet whether to empower the Commission to take action on the issue independently. FEMA has expressed it concerns about the Commissions’ approach towards a European-wide modification prevention act for motorcycles above 125cc. In the proposal for a regulation on the type approval of motorcycles in the EU the European Commission suggests, among other things, the introduction of measures to prevent modifications of the ‘powertrain’. The proposal is linked to a delegated act which calls European Parliament to endow the Commission with a mandate to decide independently upon possible measures. 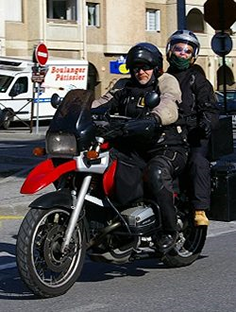 Since a European Regulation on tampering of light motorcycles and scooters up to 125cc is already in place for more than 10 years (Directive 97/24/EC), the newly proposed modification prevention would mainly target all motorcycles above 125cc. The European Parliament is still revising the proposed text on the type approval of motorcycles and the final voting is foreseen by September. In the meantime the British research institute TRL has already initiated a so called anti-tampering study on behalf of the Commission. As the name points out, the study investigates the existing forms of ‘harmful powertrain tampering’ as well as measures to prevent them. The public is called to investigate anti-tampering measures TRL is also running a public competition – Click Here – calling schools and universities to ‘identify effective solutions to these tampering events to protect the environment and the safety of road users, including the riders and passengers’. The best solution for motorcycle tampering will be rewarded with €500. FEMA would have preferred an open approach towards motorcycle modifications. 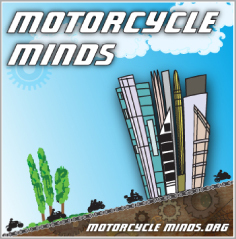 To date no statistics indicate that European Member States are struggling with environmental or safety problems related to technical modifications of motorcycles. Therefore FEMA calls to assess the dimension of a possible problem before starting to work on possible solutions. Furthermore FEMA is concerned about the scope of action that might be delegated to the Commission. The definition of the ‘powertrain’, whose tampering shall be prevented, is very likely to comprise all the technical parts and units which are commonly being modified. And even though the intention is to prevent ‘harmful’ tampering only, the definition of what is to be considered ‘harmful’ might be left entirely to the Commission. We would like to thank all those individual riders, clubs, groups and businesses who have supported us and helped us in our endeavours since 2009 to, “officially” – promote awareness and understanding of training, environmental road safety and security issues relating to the use of those vehicles classed in law as motorcycles, scooters, mopeds, motorcycle combinations and tricycles and to research and investigate solutions to these topics.